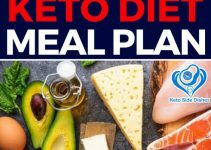 Looking for calorie specific meal plans or new recipes, check out the 7 day meal plan I created using Eat This Much Planner. 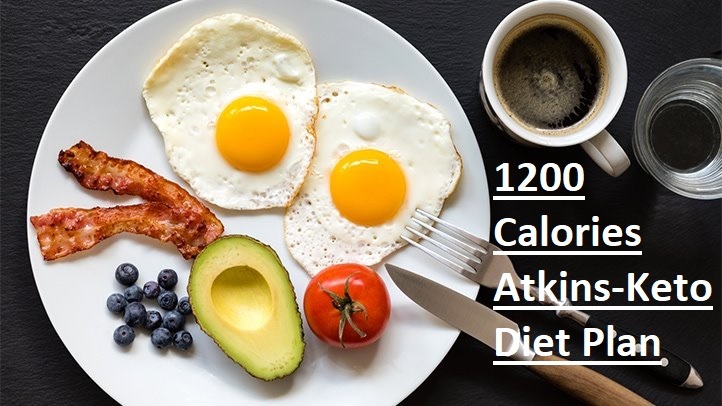 The aim for each day was 1200 calories, each meal is not more than 100 calories over or under 1200 calories. 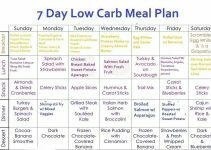 The meal plans offer delicious recipes that are fairly easy to make and a variety of food so you don’t get bored eating the same thing. 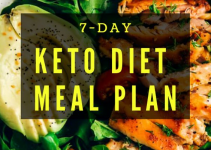 Feel free to use it as-is, or import it into your ETM account to get a grocery list, edit the meals, and track your intake. Mix together almond milk, honey, matcha, and salt until well combined. In a bowl, pour in chia seeds then the matcha almond milk mixture. Stir to coat chia seeds with the liquid. Refrigerate. 10 minutes later, stir again well. Keep in refrigerator for at least 2 hours or overnight. Dust the top with a little matcha before serving. Whisk the beer and garlic together in a bowl, toss in the shrimp, then pour everything into a resealable plastic bag. Squeeze out excess air, and seal the bag. Place the bag into a bowl to catch any leaks, then marinate in the refrigerator for at least 2 hours. Heat a cast iron grill pan over medium-high heat until it begins to smoke. Remove the shrimp from the marinade, and shake off excess. Discard the remaining marinade. Cook the shrimp until the shells turn pink and they are no longer translucent in the center, about 5 minutes. Add a small dash of vinegar and salt to a pan of steadily simmering water. Crack eggs individually into a small cup. Preheat broiler. Line rack of broiler pan with foil. Finely chop scallions and stir together with mayonnaise. Pat fillets dry. Place fillets, skin sides down, on broiler pan and season each fillet with a generous pinch of salt and pepper. Spread scallion mixture evenly over tops of fillets. Broil 3 to 4 inches from heat until scallions are slightly charred and fish is just cooked through, about 8 minutes. Enjoy by themselves. Optionally, enjoy with a side of hummus (there are other carrot + dip recipes on ETM you can swap in). Wash the bell pepper, slice it in half, then remove the seeds and stem. Slice into strips and enjoy! Optionally eat with a side of hummus dip (there are other pepper + dip recipes on ETM you can swap in). Spread almond butter on celery and enjoy! Slice and steam zucchini until soft on stovetop in a little water. Drain when cooked. Heat oil in skillet. Mash zucchini until you have about 1 cup’s worth and mix it together with slightly beaten eggs, salt, pepper, garlic powder and onion powder. Drop by spoonfuls into the hot skillet. After browning on one side flip and brown the other side. Use chunky salsa for a better texture. Mix the two together and eat. Place the pumpkin seeds in a small sauté pan set over medium heat. Cook 3-4 minutes, until they start to toast. Add a pinch of the pumpkin pie spice to the pan and shake to coat. Transfer to a plate to cool. Melt the butter in a medium sized saucepan over medium heat, then add the onions to the melted butter. Sauté, stirring occasionally until the onions are tender, about 3-4 minutes. Add the cayenne pepper and the remaining pumpkin pie spice. Stir just to combine and cook for 2 minutes. Add the pumpkin purée and broth, stir, and simmer for 8 minutes. Stir in the marmalade. Purée the soup with an immersion blender or transfer in batches to a blender. Stir in the evaporated milk. Roughly chop the toasted spiced seeds. Ladle one cup of soup into each bowl and garnish with 1/4 the of the seeds. Use some vegetable spray to oil the pan. Allow it to warm up on medium heat. Put the eggs in the pan and scramble. Lower the heat. Add salsa and crumble cheese. Stir until firm and then eat. Combine tuna, cottage cheese, mayonnaise, chopped onions, and cayenne pepper in a bowl. Mix until well-combined. Slice peppers in half and fill with tuna mixture. Top with cheese. Place on cookie sheet and broil in the oven for 5-7 minutes. Place washed chicken breasts in large sealable bag. Add 1 cup fat-free Italian dressing and close. Let marinate for 5 to 10 minutes. Cut up peppers into big chunks, and zucchini into big slices. Put into another sealable bag. Coat with leftover dressing. Grill chicken and veggies over medium heat. Mix tuna, mayo, garlic, and red pepper flakes in a bowl. Half and toast english muffin until light brown. Spread tuna mixture evenly on english muffin halves and place cheese evenly on top of tuna. Bake until cheese is melted and english muffin is crispy usually about 5-10 min at 300 degrees F.
Cut zucchini lengthwise and cut into 1/4 inch wedges. Cook zucchini in boiling salted water until crisp-tender, about 1 minute. Drain and sprinkle with salt.